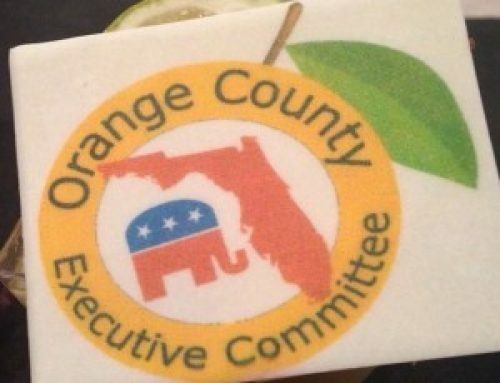 As a follow up to my announcement at the February OCREC meeting regarding being a convention Delegate/Alternate, I want to remind everyone that you still have plenty of time to apply for at least 4 of the 5 congressional districts that touch Orange County. The application form is very short. It can be found at Florida.gop. CLICK HERE to go directly to the page then scroll down to the red “DOWNLOAD FORM” button at bottom. Print it, fill it out by hand and send it to the address on the form. A twist in this process is that you are eligible to apply ONLY in the district you were in in 2014, NOT YOUR PRESENT DISTRICT!!! (Yes we agree this is confusing – long story). If you are not sure which district your house was in in 2014, call the supervisor of elections to verify. To be safe, you can also apply in MORE THAN ONE DISTRICT and let RPOF look it up for you. You can also write in your form “not sure, but it’s either X or Y”, etc. Choose the option on the form for “Congressional District Delegate”. The form must be received by the RPOF 3 days before the caucus for your confessional district. OCREC does not produce or collect or handle these forms. The time and place of each caucus is also on the website, together with FAQs. As a practical matter, the delegate positions almost always go to the state party “super volunteers” such as state committeemen/women and chairmen. These are generally already spoken for or divided up ahead of time. However there may be more opportunities for alternate positions, depending on the district. Alternates do not vote at the convention (except in the very unlikely event a delegate gets sick or doesn’t come), but otherwise get to be in on all the fun. You can also apply for appointment by the STATE PARTY for an at large position. However, that is beyond our influence in Orange County, and frankly is an EXTREME long shot. The major criteria most caucus members use to select delegates and alternates is volunteer service to the party. That is certainly MY criterion. We have nothing else to offer to volunteers who have worked for years. This is essentially the only reward we have. Consequently, where I have any discretion, I encourage OCREC members to apply.